News items on world religions, religious cults, sects, Christian denominations, and related issues. Frequently Asked Questions about cults, sects, anti-cult and countercult approaches, cult apologists, and related issues; definitions of terms, research resources, ex-cult counseling resources, etc. Feature articles and links to other resources on the grace and mercy of God - two gifts that set Christianity apart from any other religion. Back from the Grave; Consider the Facts; e Record Preserved; at it Means Today; e Bible Why It's Unique; Jesus Christ Was He Messiah? Gospel Outreach Ministries Online (evangelistic articles and numerous essays that apply gospel principles to Christian life. 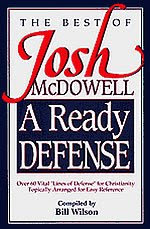 It also contains access to online resources for Bible study; apologetic and evangelistic resources; research on special theological topics of interest; information on some of the major cults of Christianity and counter-cult ministries; and links to other Christian ministries. Immanuel Ministries (apologetics ministry linking to important issues concerning doctrinal error and Biblical truth. Reaching out to those who are in error and building the body of Christ. 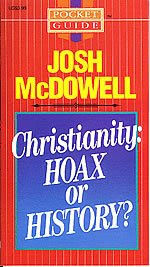 MCW Apologetics (Wales) Ever wondered how to successfully defend the Christian Faith to skeptics? Mere Christianity.us - God, Jesus and Christianity (features a study of God, evolution, Atheism, the reliability of the Bible, prophecies, Christianity, Gospels, Jesus Christ, the resurrection, the Reformation and the Restoration of the church. What does "The Bible is inspired" mean? To what extent is the Bible inspired? How could fallible men produce an infallible Bible? Since Jesus was human, was He not also fallible? How do you know that the writings of the Apostle Paul were inspired? How did Jesus view the Old Testament? Didn't Jesus accomodate His teachings to the beliefs of His day? Is everything in the Bible to be taken literally? Many interpret the Bible allegorically. Why do you inerpret it literally? Which version of the Bible should I use? A precaution as a basis for belief Is the solar system really 4.5 billion years old? Is there evidence of instantaneous creation? Is there controversy in the history of the orgin of life? Is there enough time? Are probabilities against the chance formation of large biological molecules? Mechanistic or materialistic universe? Does evolution violate the second law of thermodynamics? What are the assumptions of Darwinian evolution? Are mutations advantageous? Is the fossil record complete? Are there transitional forms: creature to creature? Are there transitions: form to form? Is God unscientific? Is fossilization evidence of a catastrophe? Why don't more scientists accept creationism?